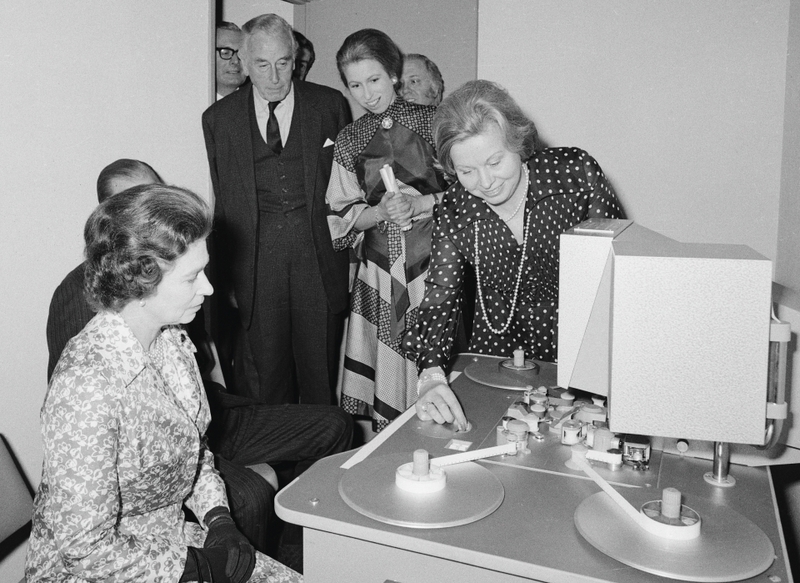 The Queen and The Duke of Edinburgh made the decision to gift the royalties from Richard Cawston's documentary Royal Family to the SFTA in the early 1970s, enabling the organisation take up residence at 195 Piccadilly. 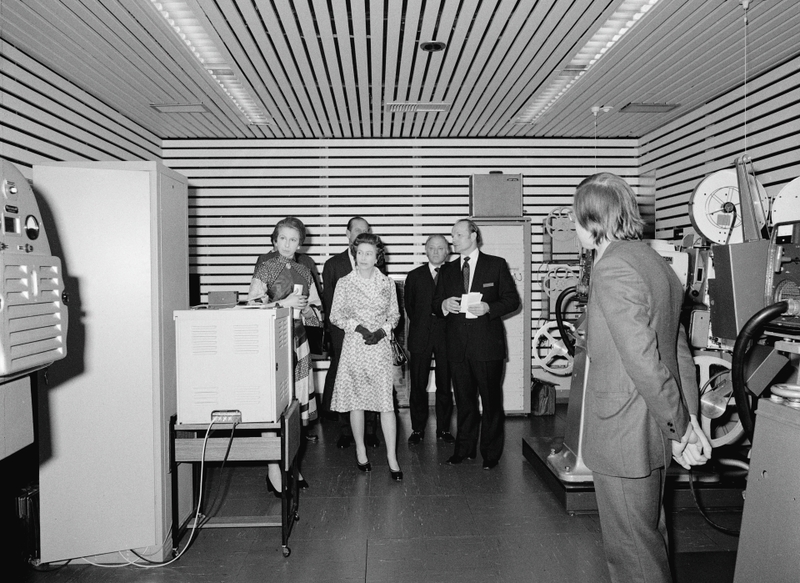 The Queen inspects a steenbeck in one of the viewing rooms at 195 Picadilly at the 1976 opening. 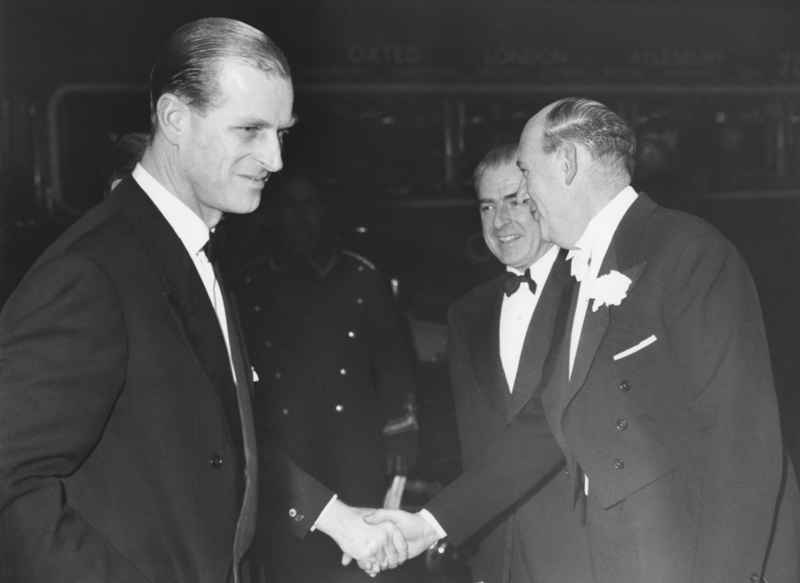 The Duke of Edinburgh was the organisation’s first president in 1959, a year after The Society of Film and Television Arts was formed. 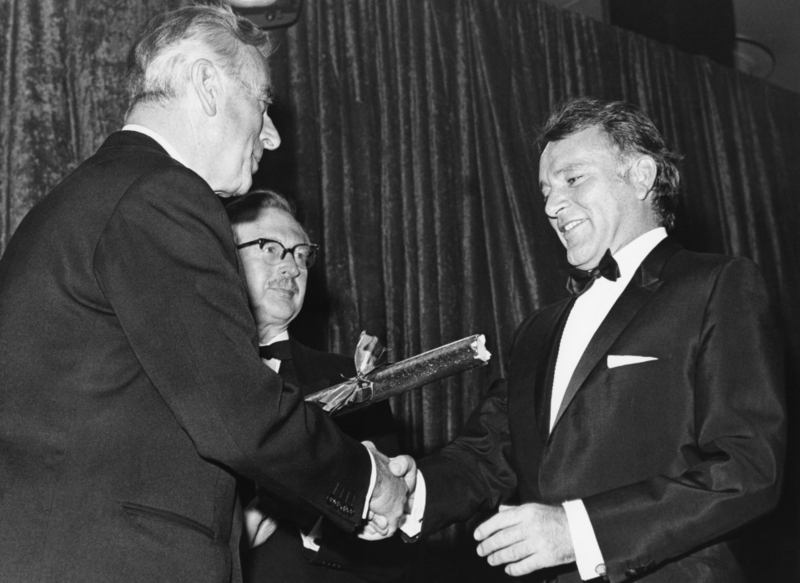 The Earl Mountbatten of Burma, The Duke of Edinburgh’s uncle, was BAFTA’s president from 1966 to 1972. 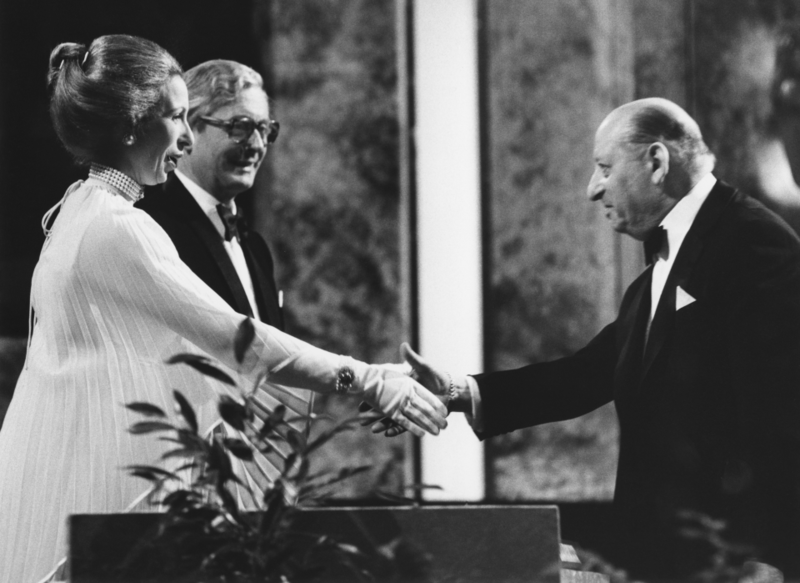 HRH Princess Anne was Academy president between 1972 – 2001. 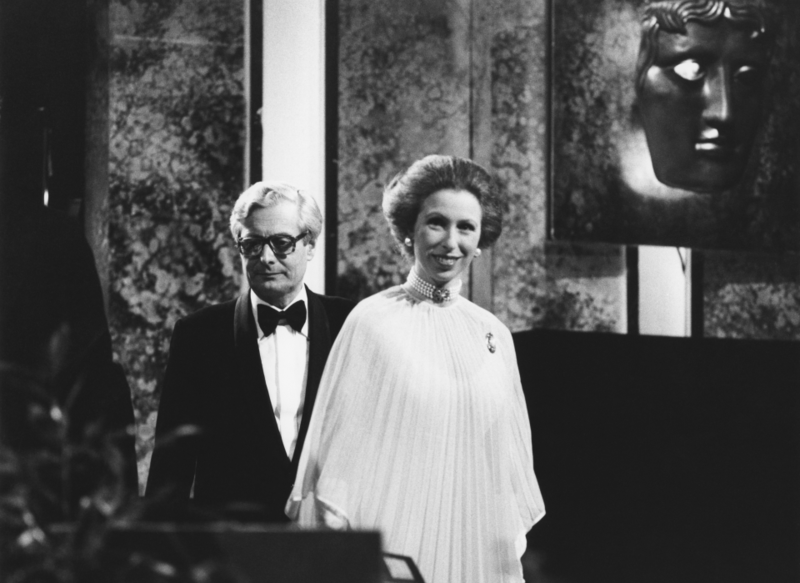 HRH The Princess Royal presented Lord Grade with the BAFTA Fellowship in 1979. 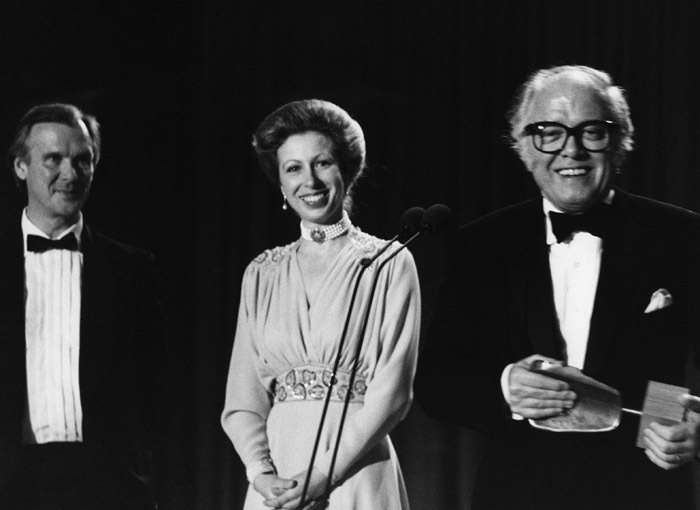 Richard Attenborough and Timothy Burrill, Academy Chair with HRH The Princess Royal, Academy President having received the fellowshiop at the Film and Television Awards in 1983. 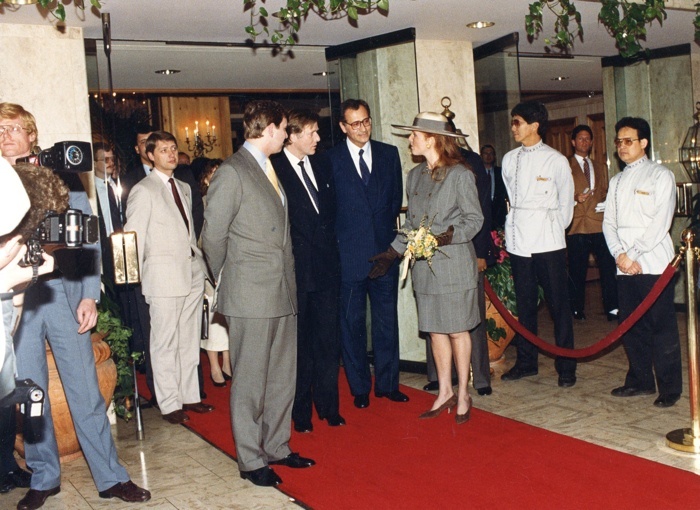 Sarah, Duchess of York with Prince Andrew, Duke of York at BAFTA Los Angeles' Royal Gala in 1988. HRH Prince William walks the Orange British Academy Film Awards red carpet before his confirmation as the Academy's fifth President (BAFTA/Richard Kendal). 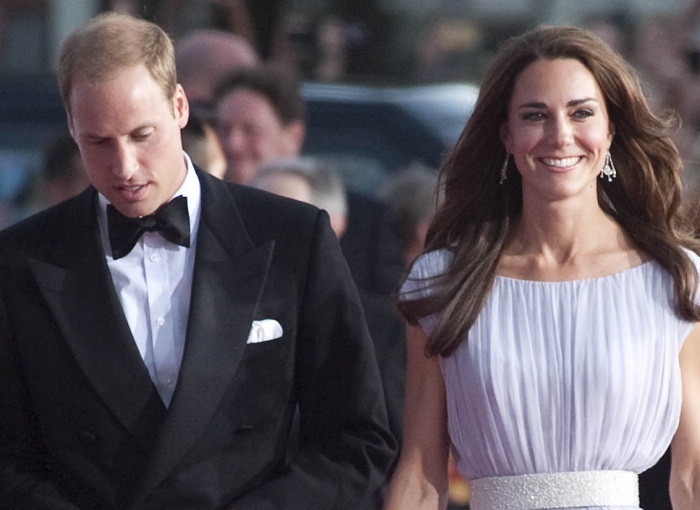 HRH Prince William arrives on the Orange British Academy Film Awards in 2010 before his confirmation as the Academy's fifth President (BAFTA/Dave Dettman). 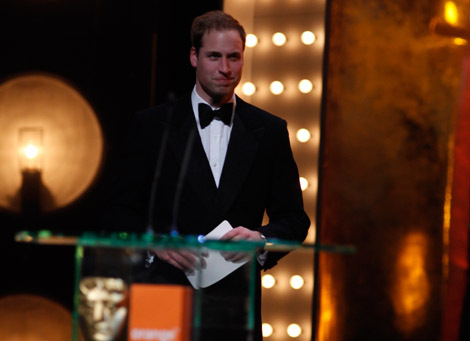 HRH Prince William talks to film fans on the Orange British Academy Film Awards red carpet (BAFTA/Richard Kendal). 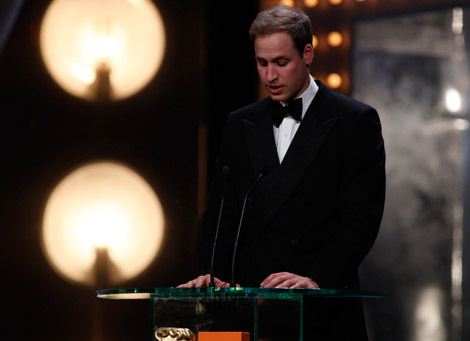 Prince William says a few words about the British Academy Film Awards Fellowship (BAFTA/Brian Ritchie). 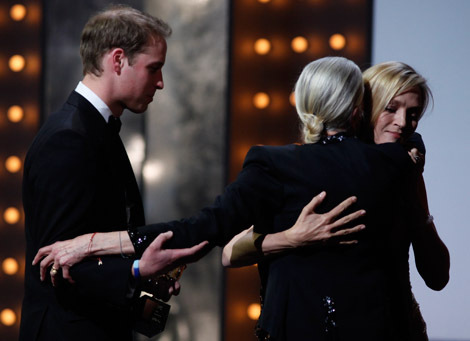 Uma Thurman warmly welcomes to the stage 2010's British Film Academy Fellow, Vanessa Redgrave (BAFTA/Brian Ritchie). HRH The Duke of Cambridge delivering his speech at the launch of Give Something Back. HRH The Duke of Cambridge at the re-launch of Young Game Designers. 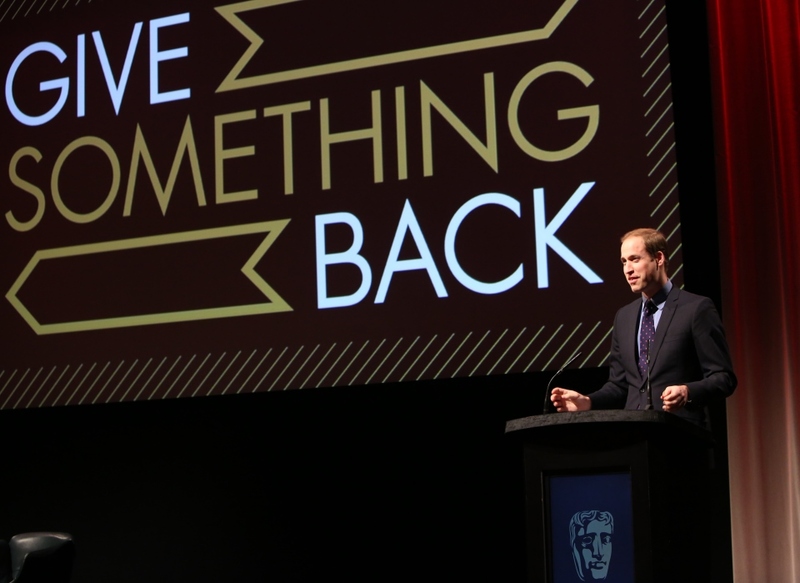 On 18 November, BAFTA President The Duke of Cambridge formally launched Give Something Back, a major new campaign to support emerging talent from all backgrounds to use their creative skills in a career within the film, television and games industries.